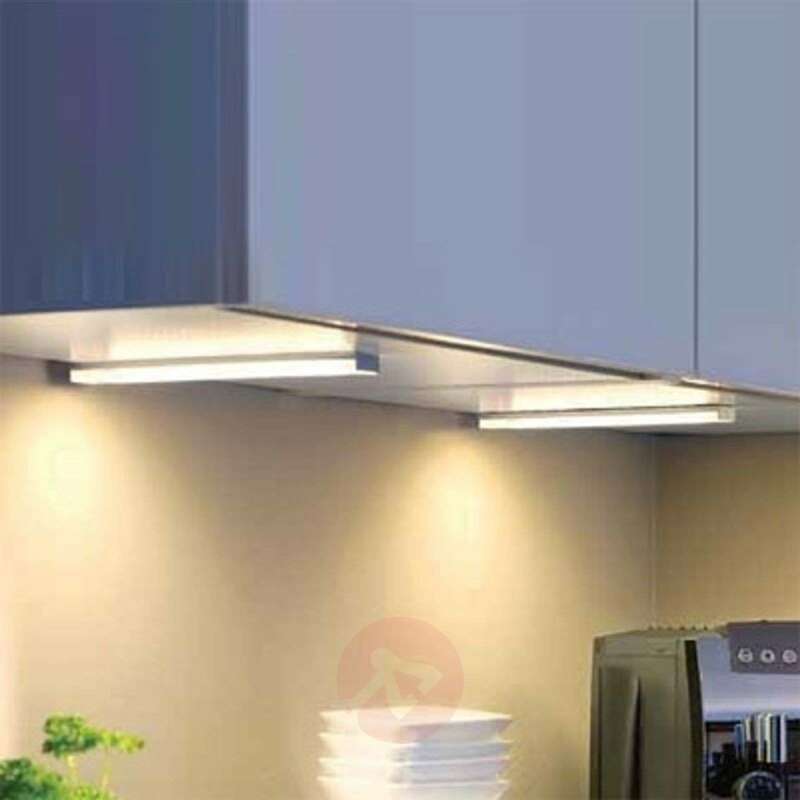 This LED under-cabinet light stands out with its professional, simple design. With a body of anodised aluminium, this LED under-cabinet light fits into any room design that requires directed light - for example above kitchen units. The durable LED technology used in the light is very impressive, as it produces a pleasant warm white light (3,000 kelvins) of 234 lumens. The light does not emit UV rays. The colour rendering is Ra90. Transformer LED 24/15 W included.